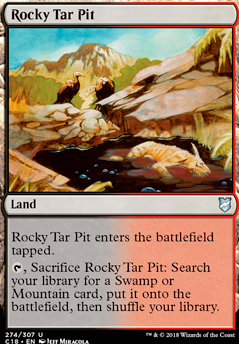 , Sacrifice Rocky Tar Pit: Search your library for a Swamp or Mountain card and put it onto the battlefield, then shuffle your library. 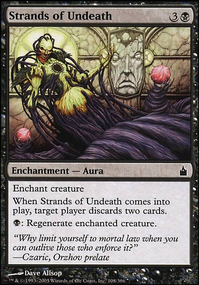 Slow Fetches, like Rocky Tar Pit aren't Modern Legal, but are still Fetches, or the old filter lands, like Darkwater Catacombs that are in the same boat, could help the colour fixing in modern without reprinting Fetches or Shocks. Adding things like Vandalblast over Meltdown , Running something like Mana Geyser would help for your big X spells. 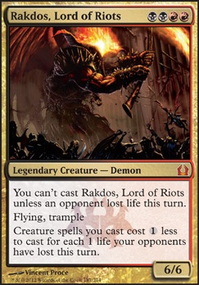 Rather than Fireball something like Jaya's Immolating Inferno might be better. In a two colour deck running Rocky Tar Pit serves no purpose. 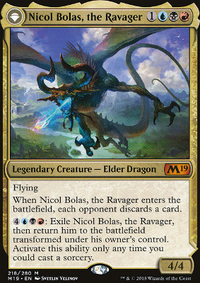 I would complete your cycle of forest duals and get Krosan Verge , Nature's Lore , Ranger's Path , and Skyshroud Claim . 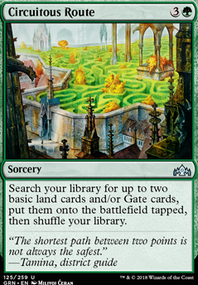 At that point, you can also look into the "slow fetches" from Mirage: Grasslands , Rocky Tar Pit , Bad River , Flood Plain , and Mountain Valley . Mana Confluence and City of Brass are worth the pain. 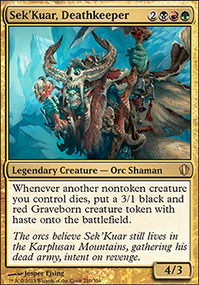 Path of Ancestry is great in a 5-color tribal deck. Exotic Orchard tends to be good in multiplayer. Forbidden Orchard is a fun political card. For rocks, I would look into Fellwar Stone . 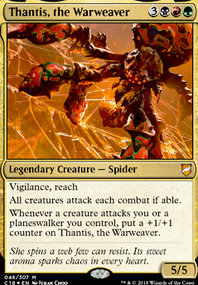 The first cards I would cut are Rupture Spire , Reliquary Tower (trust me, it's bad in this deck), and taplands that don't contain red or green.